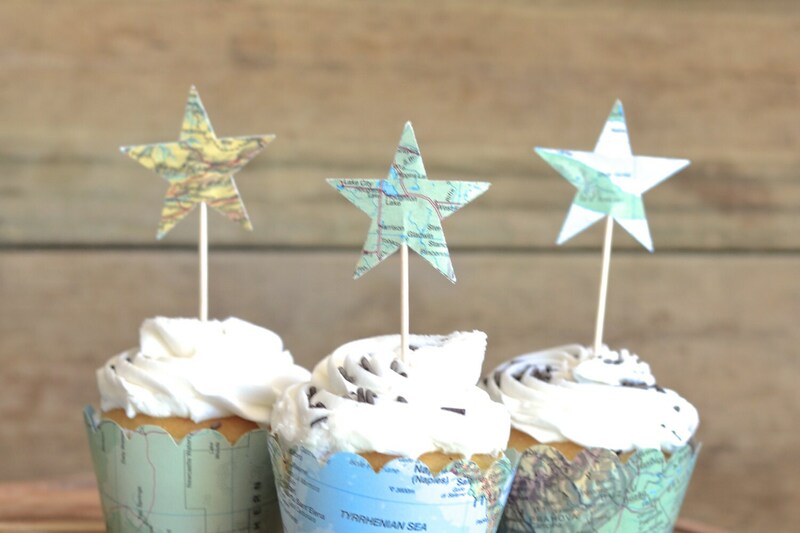 Vintage Map Star Cupcake Toppers - perfect for your adventure themed wedding, baby shower, or birthday! 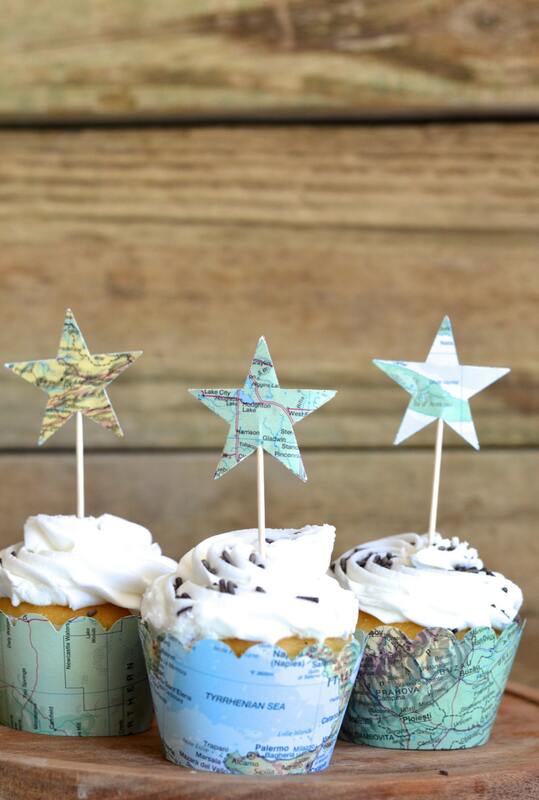 A fun set of star shaped cupcake toppers made from vintage maps. 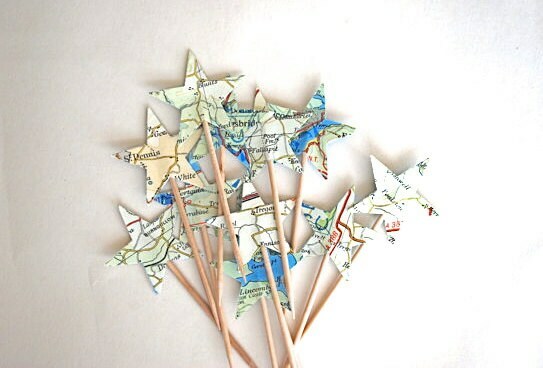 Each pick is made using stars cut from a vintage map and is double sided (so that there isn't front or back - they look amazing from every angle!). Arrived very fast, product is super cute! These were a hit for an adventure-themed baby shower I helped host! I bought these along with the "Vintage Map Cupcake Wrappers". They arrived right on time and looked amazing! Fun cupcake decorations - add the matching wrappers!